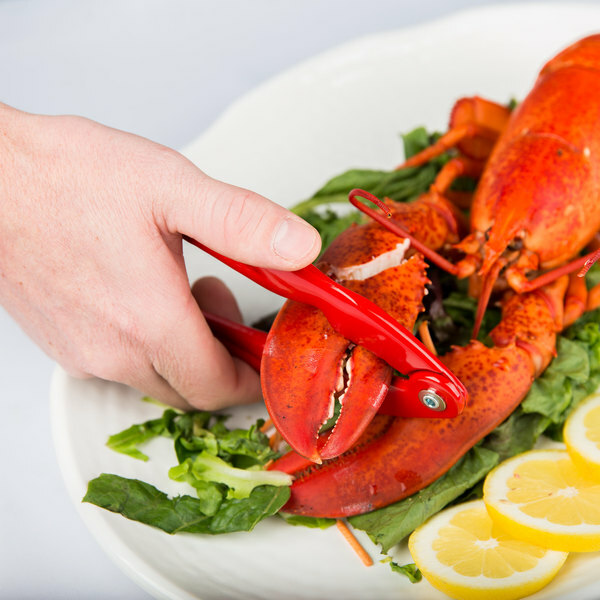 This unique Tablecraft 515 red enamel cast aluminum lobster / shellfish cracker is ideal for any lobster fest, catered event, or seafood restaurant. It features claw-shaped handles for a sturdy grip and decorative flair. This cracker is multi-functional with jagged teeth, a smooth clamp, and durable hinge to crack open different sized and textured shellfish without harming the meat. Its pointed handles and sharp edges let customers savor every bit of seafood. This product can expose you to chemicals including Substrate (Pb), which are known to the State of California to cause cancer, birth defects, or other reproductive harm. For more information, go to www.p65warnings.ca.gov. WARNING: This product can expose you to chemicals including Substrate (Pb), which are known to the State of California to cause cancer, birth defects, or other reproductive harm. For more information, go to www.p65warnings.ca.gov. Love these claw crackers. They are pretty heavy and sharp. Makes cracking shell fish super easy. They give you a nice grip. They look great at the table for our seafood dinners as well. I love the look of the Tablecraft aluminum claw shaped lobster crackers. They are very cute and do a great job on opening crab legs or lobster. A great tool to over our guests eating the shellfish. The Tablecraft Cracker definitely exceeded my expectations. The price is very reasonable and the quality is excellent. I would highly recommend this product. 5 star product! I purchased for home use but definitely restaurant quality! Can't go wrong with Tablecraft! I absolutely love this product! This table craft 5 1/2" red cast aluminum claw shellfish cracker is great! It's some what heavy but easy to use. Very sharp teeth and edge is sharp for cutting into shell. 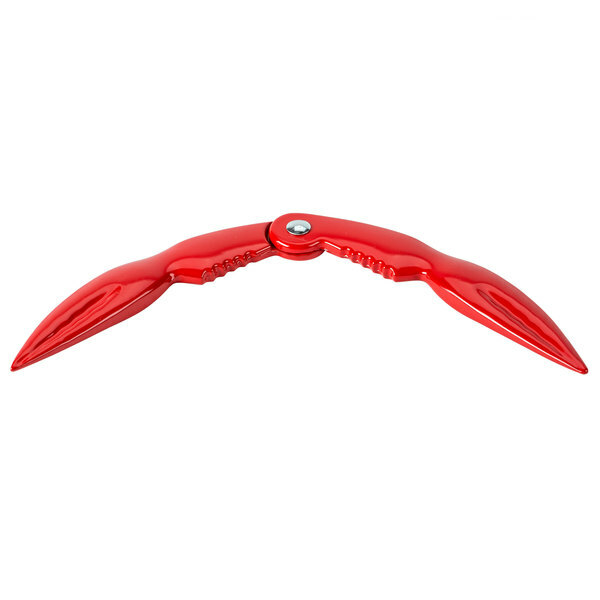 Sir Clean recommended this product Tablecraft 515 5 1/2" Red Cast Aluminum Claw-Shaped Lobster / Shellfish Cracker, the material is resistant and the price is really good. 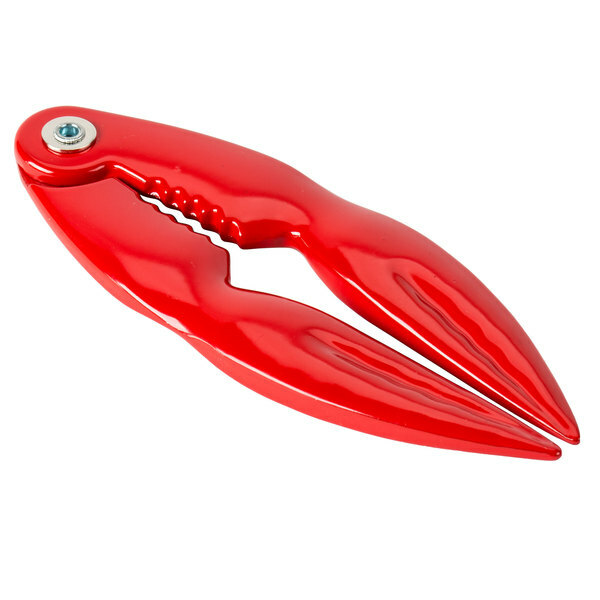 I love the bright red color of this aluminum lobster cracker. It is a nice size and takes get used to holding because it is a little slippery. These crabcrakers are adorable. Great for families, and well priced. The quality is also superb. I am considering ordering another case because I am so happy with my initial purchase. Alway great selection on WebstaurantStore.com. This five and a half inch shellfish cracker is great for any corky seafood restaurant. It looks like lobster claws which is adorable and they do not break! I like these cute and fun lobster crackers beause of their fun shape. Tourists go to maine all the time for lobster and it makes them feel happy when they get crackers like these! What a great lobster opener! The red "lobster-like" design is great for letting guests know what they are for! Great for buffets! Easy to use! !